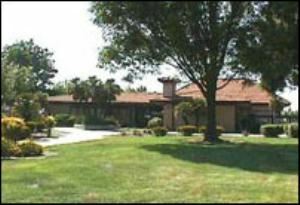 Los Cerritos Community Center is located in a 12-acre community park in the Brookvale area of Fremont. The whole facility is very big and clean. It has a multi-purpose room which can accommodate almost 170 people. It also has a meeting room which is not very big though. Renting this place is very affordable. It has a small park behind the building for the kids to play and have fun while parents enjoying their chats. It is secure area in a nice neighborhood. It is behind the American high school and has a big play ground for the sports party. We held our daughter’s birthday party there. We had almost 50 people invited over. It was located so near to good restaurants for catering and delivery options. We had a great party with kids enjoyed the outdoors as well as indoors. I would recommend it to those, who are looking for an affordable nice party venue for small party with more space. There are two entrances to the building and nice walk path if you like to decorate for the party entrance. This place is very quiet without any traffic near by. I will rate it 4 stars based on my personal experience and judgement.Enjoy the community facility for low cost.